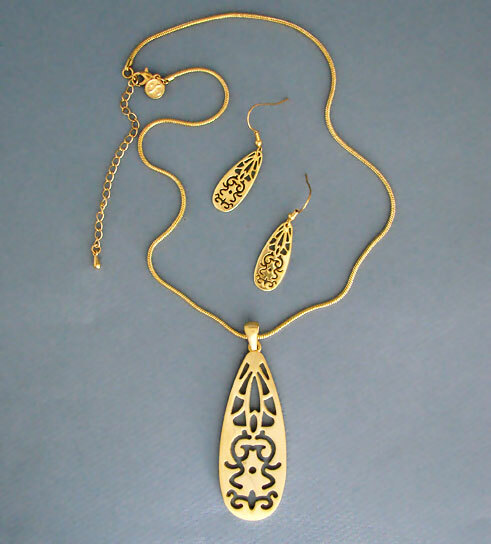 Influence Gold Necklace and Earrings set has a definite oriental feel with its laser-cut pattern in an elongated oval pendant and matching earrings. 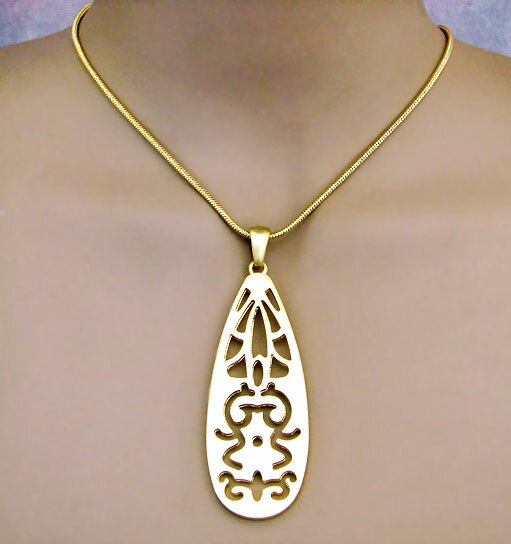 The pendant itself measures 3 inches long, and the gold metal alloy chain is 21 inches long adjustable down to 18 inches. 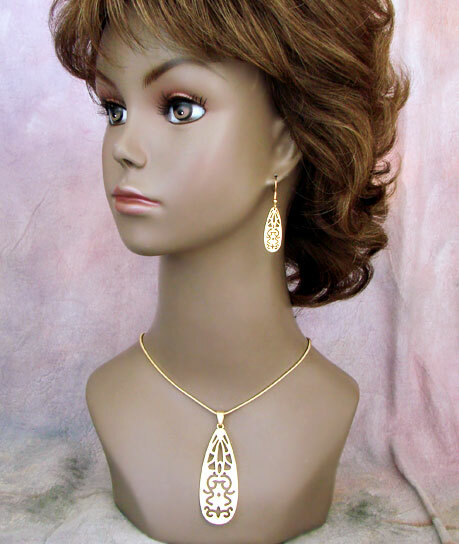 Matching earrings are 2 inches long.